Published: Jan. 18, 2015 at 01:48 p.m. Updated: Jan. 18, 2015 at 02:24 p.m.
New York Jets owner Woody Johnson couldn't get away with a simple mea culpa after commenting on Darrelle Revis at a news conference last month. 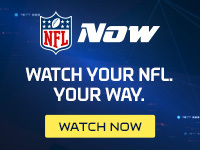 The New England Patriots filed tampering charges against the Jets and asked the NFL to look into Johnson's comments, NFL Media Insider Ian Rapoport reported, according to a league source. The charges were filed weeks ago. The NFL declined comment on the issue. During a Dec. 29 press conference, Johnson spoke glowingly about the New England Patriots corner, saying he would "love for Darrelle to come back" to New York. Per the NFL policy: "Any public or private statement of interest, qualified or unqualified, in another club's player to that player's agent or representative, or to a member of the news media, is a violation of the Anti-Tampering Policy." Johnson later said he "misspoke" when commenting on Revis, insisting he would never interfere with a player contract from another team and called Pats owner Robert Kraft directly afterward to stress he wasn't tampering. Bill Belichick, however, chimed in on the issue during a radio interview saying that he "would think that the league would look into those comments." They indeed are doing just that. And the Patriots' needling of the Jets continues, as usual.